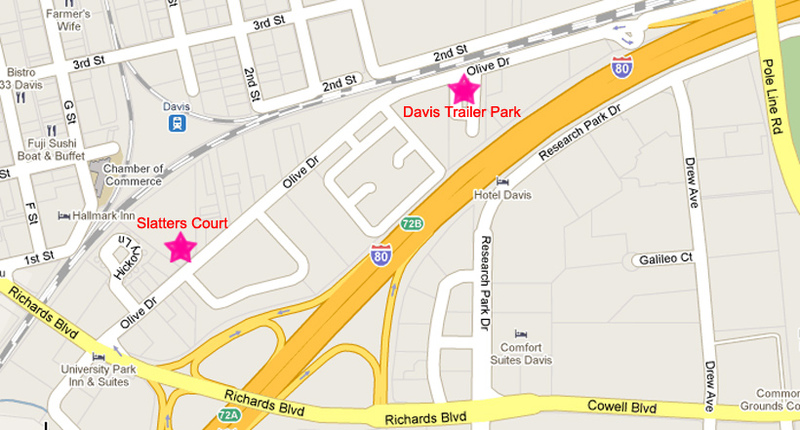 Slatter's Court is located in Davis, CA just north of I-80. Take the Olive Drive Exit if you are driving west on I-80 or take the Richards Blvd Exit from either direction. Davis Trailer Park is also on Olive Drive, less than 1/2 mile east, but the Slatter's Court office manages both properties.